Foran Breivikbotn kirke står denne bautaen til minne om lokale, falne under siste verdenskrig. 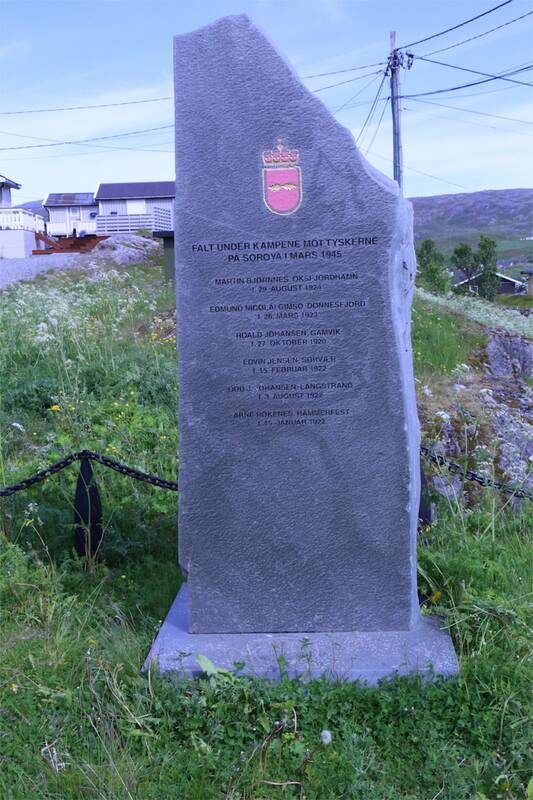 Front Breivikbotn church stands this monument to the memory of local, fallen during World War II. Meldte seg som frivillig 9. februar 1945. Etter kampene mot tyskerne 5. mars 1945, trakk hans avdeling seg tilbake under voldsom fiendtlig artilleriild. Johansen ble truffet i hodet, og døde noen timer etter uten å ha kommet til bevissthet. He was caveman on the South Island, escaped then to East Finnmark and volunteered on January 20, 1945. Eventually, he returned to the South Island, and during the fighting against the Germans in March 1945 he showed an outstanding courage. He sprang forward from cover to rescue a wounded soldier comrade, and on the way back he was hit by a grenade and killed. Volunteered on 15 February 1945 and participated in the frontline in the fighting against the Germans. Here he was so badly wounded that he died shortly after. Volunteered December 15, 1944 and participated in skirmishes against enemy patrols on HOPSEIDET in Tana. He traveled with the first expedition to the South Island on 25 January 1945 and fell during skirmishes with the enemy in Hasvik 1 March 1945. Set a longer time as a prisoner in Germany, and had just returned when the Germans evacuated Finnmark. Along with Martin Bjørnnes he went from cover to rescue a wounded soldier comrade, and on the way back he was hit by a grenade and killed. Volunteered on 9 February 1945. In battles against the Germans on 5 March 1945 drew his department back under fierce enemy artillery fire. Johansen was hit in the head, and died a few hours after without regaining consciousness. Rokenes was a student and propelled boats by profession, but believed to be an engineer. He was caveman on the South Island, and volunteered immediately Norwegian forces arrived on the island. He performed thorough reconnaissance missions including against Hammerfest and the Whale Island and fell in Børfjord 5th March 1945. War Winter 1944-45 were many people in hiding in the south island in soil and båtgammer, cabins and mountain caves to avoid being forcibly evacuated by the Germans. In February 1945, 502 of these people picked up by 4 British destroyers and taken to Murmansk where they were turned over to Allied merchant ships. They came to Glasgow on 28 February 1945 and then it was two weeks ago they left the South Island. Then it was still about 700 civilians in the South Island. A small squad Norwegian soldiers under the leadership of artillery captain Johan Godo had been put ashore to help the civilians against the continuing German landfalls. The squad was eventually reinforced with several young men and women. In addition to keeping an eye on hostile ravages and movements, they should supply the population with food and clothing. A patrol of seven men under Lieutenant Waage was sent to Hasvik because one sensed the residence of the lighthouse keeper stood in line to be burned and that the lighthouse would be blown up. 1 March 1945 the Germans to perform the task. 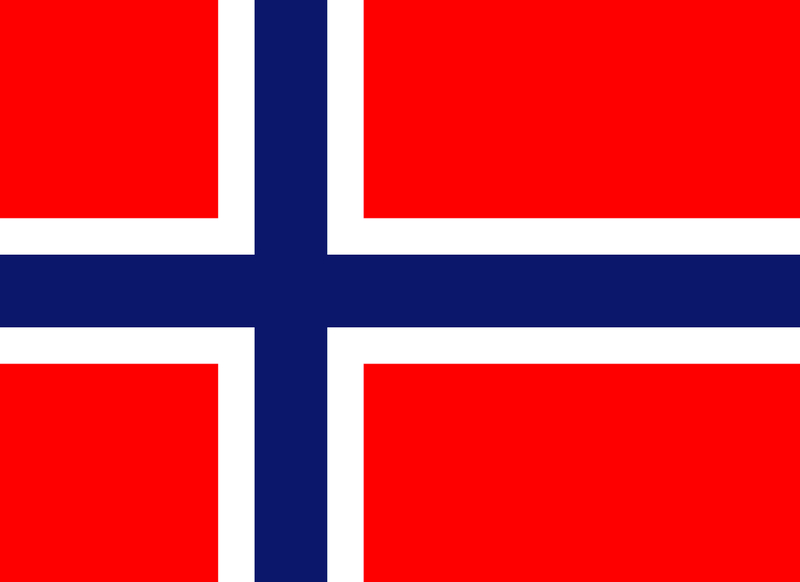 The Norwegian patrol opened fire on the unsuspecting German soldiers. The shooting lasted for several hours, and ceased at nightfall. Three man from the German explosives command was killed, and Roald Johansen from Gamvik was killed by the Norwegian patrol. The day after the attack the Germans with approximately 100 man infantry while two boats patrolled the coast. The Norwegian patrol had to withdraw, and reached after 10 hours of strenuous marching forward Børfjord. 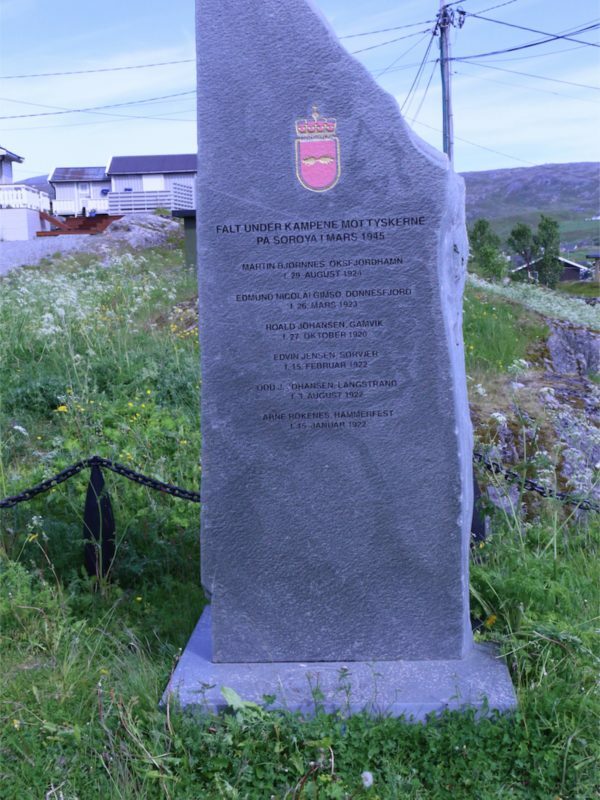 On the morning of 5 March 1945 sailed two German forpostbåter onto docks in Børfjord and fighting began. Despite the Germans’ superiority in heavy weapons, they were forced out of the narrow harbor basin when the Norwegians put away everything they had. During this skirmish fell 4 Norwegians: Edvin Jensen from Sørvær, Martin Bjørnnes from Oksfjordhamn, Arne Røkenes from Hammerfest and Edmund Gimsø from Dønnesfjord. The Norwegians were subjected to two further attacks, but only when the third attack was reported from the vantage opportunity was given orders Norwegian withdrawal. The Germans attack when with much larger vessels than previously, and had 34 guns and 40mm and 20mm machine guns. Under the strong fire by the withdrawal, Odd J. Johansen from Long Beach killed.